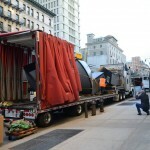 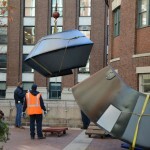 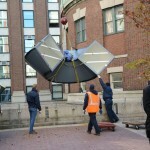 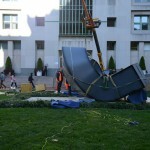 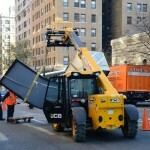 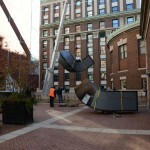 Clement Meadmore’s large public outdoor sculpture has returned to its home in front of Uris Hall! 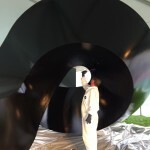 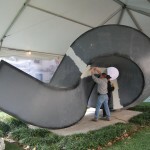 Conservation Solutions recently reinstalled The Curl after it was offsite almost three months for conservation. 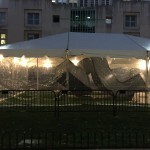 A tent was erected for on-site painting and curing, after which it was rededicated in a ceremony held on December 16, 2015. 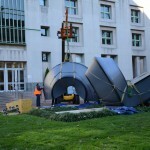 Thanks to Conservation Solutions and Columbia’s partners in this multi-year project: Office of the Provost, Columbia Business School, Columbia University Facilities, Columbia University Libraries, the Meadmore Task Force and the Committee on Art Properties. 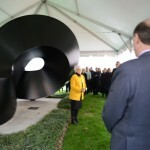 To see a video of the rededication and more about The Curl click here. 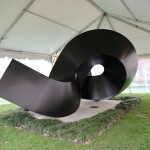 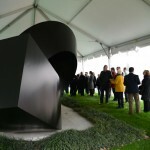 Clement Meadmore, The Curl, 1968, Cor-Ten steel with paint, Gift of Percy Uris (1968.3.1), Photo: Brett Essler, Columbia Business School. 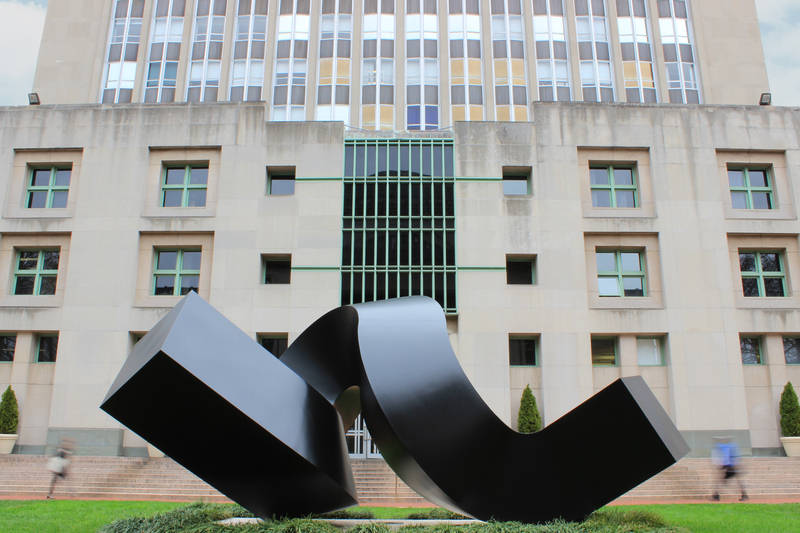 This entry was posted in Art Properties on December 22, 2015 by Ted.